What’s the best time of year to visit Edinburgh? As someone who lives in Edinburgh I guess I’m a bit biased when it comes to talking about its tourist attractions, mainly because my chosen home city is so chock-a-block full of them. There’s a huge number of things to do in Edinburgh which offer locals and visitors alike a great time, whether it’s climbing to the top of an extinct volcano, wandering down the atmospheric medieval streets that join the Royal Mile or exploring the grandest castle in Europe, all in a compact city that’s easy to navigate and oozes culture and history from every nook and cranny. In fact, Edinburgh has so many attractions it can get a bit overwhelming trying to decide which ones to visit – a task that’s made a thousand times more difficult for visitors who only have a day or two to explore this utterly unique Scottish metropolis. It’s not so bad if you live in the area because you can always come back another day, but how do you decide on the best way to spend your precious time if you’re a visiting tourist? It’s a question I get frequently asked and in this article I hope to give potential visitors to Edinburgh the definitive guide for suggestions on where to go and what to do while they’re here. The majority of the attractions in the list below are historic in nature – something that’s unavoidable when coming to a city with over a thousand years of history – but I’ve also included some modern attractions as well as a few in the great outdoors to balance things out a little bit. 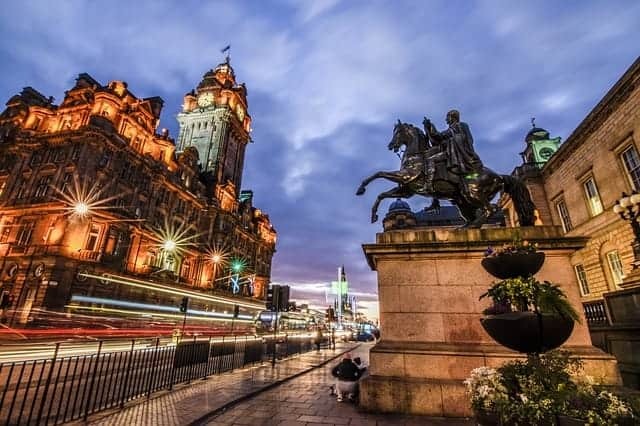 Scotland’s capital city is frequently voted as one of the best places to go in Europe, with readers of a wide range of media outlets putting it at the top of their ‘must-see’ destinations. The Telegraph newspaper has voted Edinburgh the number 1 city in the UK while research company Arcadis has voted it the most liveable city in the world, and I have to admit I completely agree with them. There are so many unique places to visit and things to do in Edinburgh that it kind of makes your head spin. As well as hosting 12 major cultural events each year (including The Fringe, the world’s biggest arts festival), Edinburgh was the first ever city to be granted the title of UNESCO City of Literature, and it’s one of the few cities on the planet to have its city centre elevated to UNESCO world heritage status. ‘But’, you might be asking, ‘what’s so special about this small collection of medieval and Georgian buildings nestled on the south-east edge of Scotland?’. Well, that’s a difficult question to answer, but I think it’s down to several factors. First off, the people are exceptionally friendly and I’m always amazed at how the locals never seem to get tired of being asked by wide-eyed tourists how to get to the castle (which is inevitably straight in front of them) or where the nearest MacDonald’s is (why bother? – our pubs offer much nicer locally-sourced food). The second great thing about Edinburgh is the fact that it has a huge – HUGE – amount of history in a compact area and it really does have a special atmosphere about it. For me, this is most evident at Christmas when the city hosts its annual Edinburgh’s Christmas extravaganza and the city comes alive with spectacular displays at the castle and across the Old Town. And thirdly, Edinburgh is a city that just has it all. There are fascinating old buildings to explore, open parkland crying out for summer barbeques, world-class shopping areas, fantastic festivals, a royal palace, and a majestic castle. But you’ll also find award-winning restaurants, family-friendly attractions, loads of romantic walks, amazing museums, interesting art galleries, and a world-leading zoo. Phew! You’ve got a couple of options for getting to the city depending on where you’re travelling from. If you’re coming here from overseas then by far your best bet is to fly to Edinburgh Airport which lies 5 miles to the west of the city centre and has regular public transport links across the city and the surrounding areas. 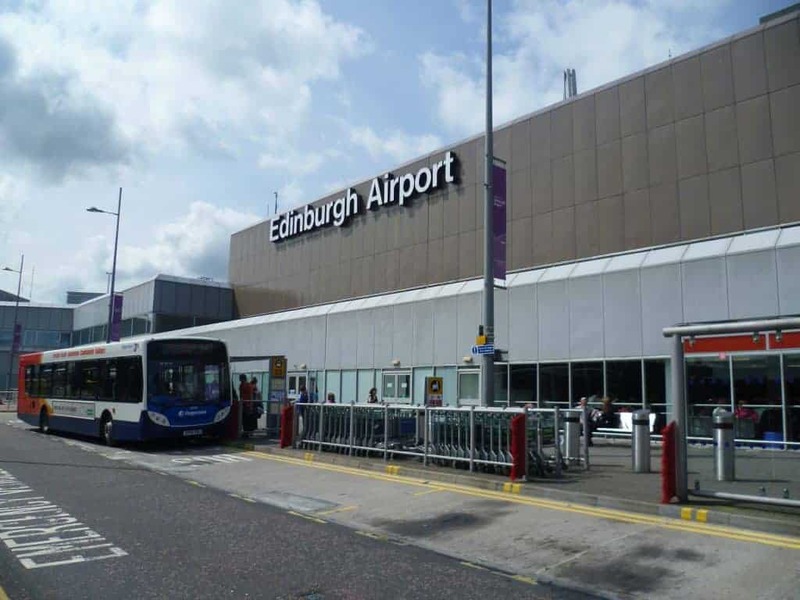 Travel to the airport from inside Edinburgh is easy and visitors can use bus, tram, car and taxi services, and depending on the time of day the average journey takes only 30 to 40 minutes. A regular airport bus is operated by Lothian Buses (the Airlink 100 service) which runs every 10 minutes, 24 hours a day from Waverley Bridge (the central train station in Edinburgh city centre). Tickets can be bought at the airport information desk, at the bus stop, from the driver, or online, and full airport bus details are available to view at the Edinburgh Airport website bus and coaches page. Further information for travellers arriving and departing from Edinburgh Airport can be found at The Edinburgh Airport Guide. If you’re already in the UK then you can either travel here by coach (Megabus are one of the cheapest options) or you can do what I prefer to do and take the train. Taking the train to Edinburgh is a doddle if you’re coming from London and the new high-speed rail link will get you from Kings Cross in London to Waverley Station in Edinburgh in just over four hours. There are several operators that run these services so your best bet is to check out The Trainline and book your tickets in advance – they’re much cheaper than buying your ticket at the station – but for your return journey head to the ScotRail website. Edinburgh has a world-leading bus and tram network thanks to the services provided by Lothian buses, with cheap public transport available on clean, well-maintained vehicles. The bus network extends right through Edinburgh and out to the surrounding areas, while the trams provide a fast mode of transport over 14km from the airport to the city centre. There are plenty of taxis to find throughout the city (try ComCabs – they’re one of the best firms in my opinion) but to be honest because the city is so compact you’ll rarely have a need to use any form of transport during the day other than your own two feet. One thing I would recommend is making sure you’ve got Google Maps installed on your phone and download the city centre map to your device. That way if you ever lose your signal (which you shouldn’t as Edinburgh has excellent phone coverage) you’ll still be able to navigate. If you’re planning to explore a little further afield then I recommend you buy a Central Scotland Rover travel pass which lets you take unlimited journeys between Glasgow, Edinburgh, and the surrounding area for just £49 (as of Jan 2019). The pass lasts for three days and is valid for standard class journeys on ScotRail trains, but unfortunately you can’t use it on the new Borders railway line. 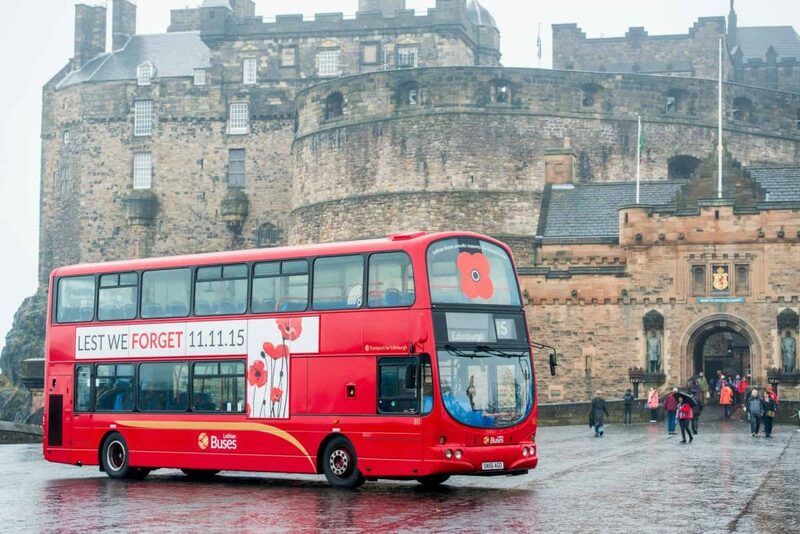 If you want to take a tour bus around Edinburgh you’ll get an exceptional service with City Sightseeing. Although Scotland’s warmest and driest months are between May and September the weather can be extraordinarily fickle so I don’t actually think there is a ‘best’ time to visit. The fact is you’ll find things to do in Edinburgh at any time of the year – something I’ve explained in great detail in my articles The Best Things to do In Edinburgh on a Rainy Day and The 10 Best Places to Go in Scotland in January. The only real differences between the seasons are the weather and the number of daylight hours – but winter can be just as fun as summer if you visit the right attractions. That being said, there are some months when certain events are held which can make a visit to the city a little bit extra-special. If you’re intending to come here in winter you might as well book your trip during December when Edinburgh’s Christmas is in full swing. This annual festive experience runs throughout the month and into the early new year and features a crazily-large number of things to see and do. 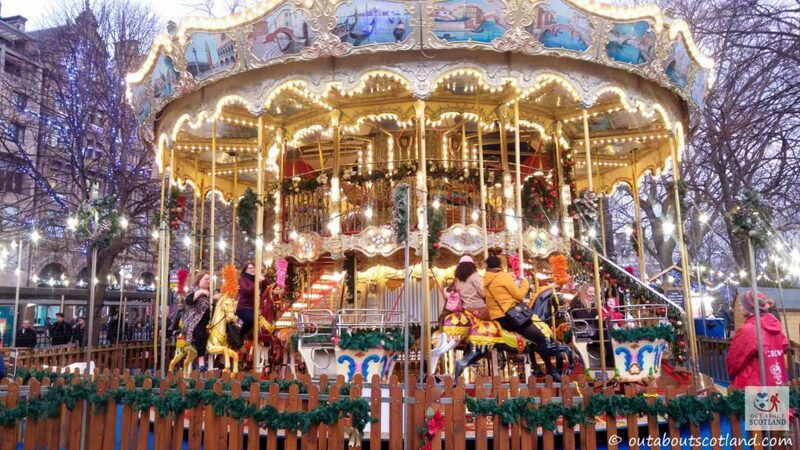 There’s a brilliant Christmas market in Princes Street Gardens where you’ll find loads of Christmas gifts and yummy sugary treats, a fun-fair that’s sprawled over several locations in the city, and a whole load of Christmas-themed events including the ever-popular Kings Theatre panto and the famous Spiegeltent circus. Read my Edinburgh’s Christmas guide for further info. So that’s Christmas wrapped up, but what about summer? 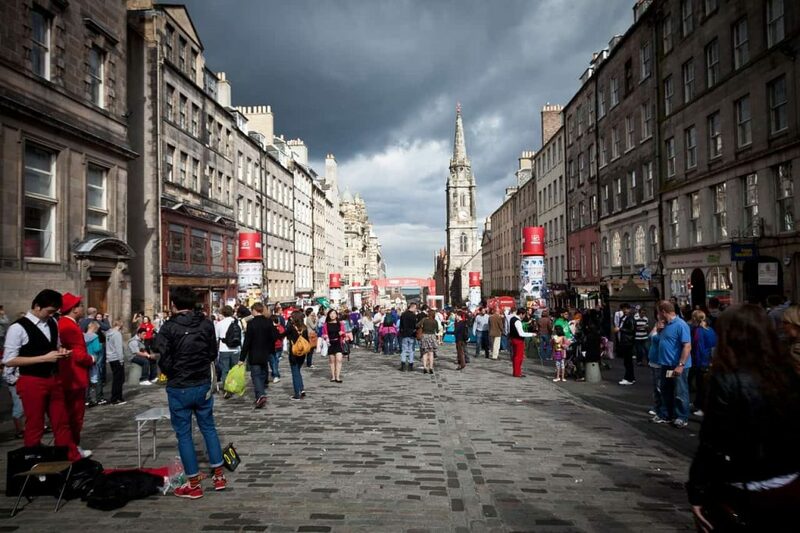 Well, the height of Edinburgh’s tourist season is also the time you’ll find the city playing host to The Fringe Festival – the biggest arts festival in the world. This unbelievably popular event regularly draws in half a million visitors over the three weeks that it runs in August and has to be the highlight of the entire Scottish events calendar. Art in all its forms can be found at the festival including theatre, comedy, dance, circus, cabaret, music, and opera performed by a variety of artists from complete amateurs to world-famous professionals, and it’s an absolute riot of sound and colour. I can’t think of another festival in the UK that offers such a fun mix of art forms in such a safe and friendly environment, and you can read more about it with my Edinburgh Fringe Festival guide. Scotland’s tourist attractions are often quite pricey, especially the big venues like Edinburgh Castle which will set you back a whopping £18.50 per adult (as of Jan 2019), but there are ways to save a little money if you’re a cost-conscious type like me. The first piece of advice I’ll give you is to buy your tickets online in advance as it’s usually possible to save a few quid compared to buying the ticket on the gate, with the aforementioned castle saving £1.50 for pre-purchased tickets. Not a huge saving but if you’re planning on seeing lots of attractions the money soon mounts up. If you’re intending to spend your entire holiday in Scotland then I definitely recommend the Historic Environment Scotland Explorer Pass which allows entry to over 70 of Scotland’s top historic attractions over 5 or 14 consecutive days with as many repeat visits as you like. 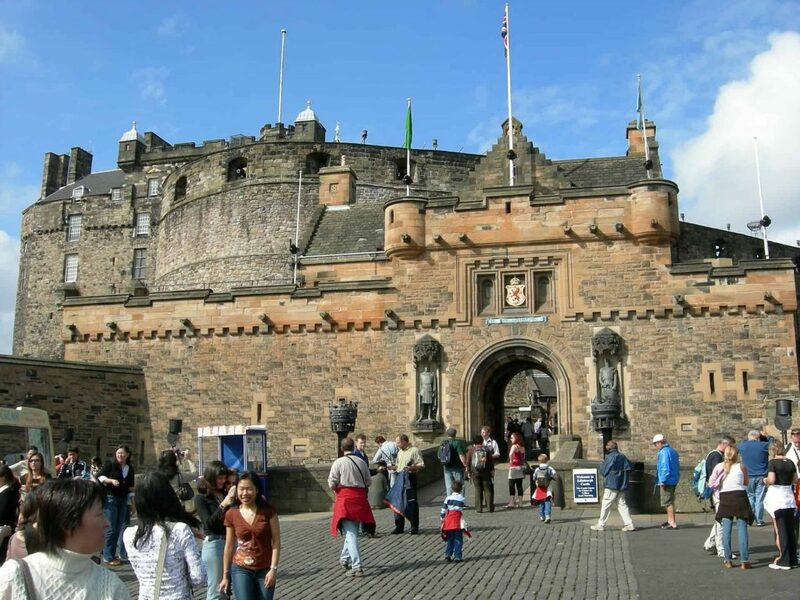 In Edinburgh, the pass is valid for the castle, Holyrood Palace and Craigmillar Castle – all great attractions – with the castle having the added bonus of allowing repeat visits to the cafe and its amazing city-wide views. Another tip is to keep hold of your Lothian Bus ticket as there’s often a 2-for-1 deal for one of Edinburgh’s top attractions printed on the back, but if you want an all-in-one discount head on over to the official Edinburgh City Pass website where you can buy an adult two-day pass for £55 (as of 2019) which allows entry into 15 of the city’s top attractions including; Dynamic Earth, John Knox House, The Edinburgh Dungeon, The Georgian House and many more. And finally, if you really want to save money you can’t get much better than free, and thankfully Edinburgh is home to loads of free places to visit, and in fact I’d go so far as to say the majority of the best attractions don’t cost a single penny to enter. I’ve compiled a few of my favourites in my Best Free Attractions in Scotland Guide, so if you’re after a fun time that won’t cost anything it could become your new best friend. Get great deals on eating out in Edinburgh with Living Social. The Water of Leith winds over 22 miles from the Colzium Springs in the Pentland Hills, and over the course of its journey it passes many famous Edinburgh landmarks. Visitors to the city might not be aware of the river, but if you have a few days to explore Edinburgh you’ll be well-rewarded by a walk on the miles of quiet pathways that run alongside it. 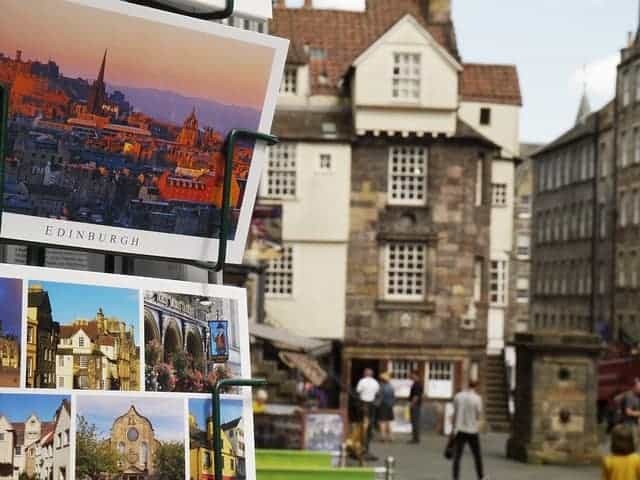 One of the most popular entry points is at Stockbridge, well-known amongst Edinburgh locals for its cute gift shops and delicious bistros, and there’s a myriad of well-signposted paths that lead onto the riverside. The Water of Leith walkway extends for 12 miles so if you want to do the entire route you might consider hiring a bike, although walking on foot is probably the best way to enjoy it. Other popular entry points are Dean village where you can see the remains of Edinburgh’s watermills, and Bonnington which is another interesting site for the city’s old industrial heritage. Top-tip: A good idea to plan your journey is to pick up a Water of Leith route map from any of the information centres in the city centre, but the visitor centre at the Slateford Aqueduct in south-west Edinburgh is preferred because it allows you to get a map and a coffee before heading directly onto the river pathway. The Scottish parliament building in Edinburgh is the home of the Scottish government and is a world-class example of modern architecture. Situated at the bottom of the Royal Mile on 4 acres of land the building is an unexpected tourist attraction but it’s well worth taking a look around inside, especially as it’s free to get in. The building is in use daily with more than 1000 permanent staff assisting 129 MSPs in their duties, and frequent debates are held in its central chamber where viewing galleries allow 300 members of the public to watch important discussions about the state of the country. The location where the Parliament building is located seems to perfectly sum up Scotland, with the natural wonders of Holyrood Park to one side, the majestic Holyrood Palace on another, and the historic Royal Mile running past it and up towards the centre of the capital city. The building has won several international awards for its architecture and visitors are welcome to explore it year-round. On non-sitting days (usually Mondays, Friday, and weekends) visitors can view the Main Hall and can access the public galleries of the debating chamber and the main committee rooms. Guided tours are also available on non-sitting days which allow visitors to access the Garden Lobby and committee rooms, but visitors must be in the company of an official guide as they explore the building. John Knox’s house in the middle of the Royal Mile is a historic building that was reputedly lived in by the Protestant reformer in the 16th-century. Although Knox only lived in the house for a short time it’s his association with the building that prevented it from being demolished in 1840 when many other derelict buildings were being torn down. The house was built around 1470 which makes both it and the adjoining Moubray House the only surviving medieval buildings on the Royal Mile. Today the house is highly regarded for the museum inside it which includes time capsules from the 1840s that describe how the house was saved from destruction, and which also tell the story of the Scottish Reformation and the part that John Knox played in it. Inside the house you can see many features that were popular amongst the wealthy residents of Edinburgh in the 15th-century, with a beautiful wooden gallery and ornate hand-painted ceilings. These decorations were probably installed by the 16th-century goldsmith James Mossman who lived there but was executed for creating counterfeit coins in 1573. After his death, the house was handed over to James VI of Scotland and was lived in by several wealthy residents until it gradually fell into disrepair before being fully restored in the 20th-century. These days the house is most famous for the tours that will take you around it’s perfectly preserved rooms while telling you all about the history of one of the most critical times in Scotland’s history. If you want to experience how the residents of Edinburgh lived in the 17th-century then a visit to Gladstones Land on the Royal Mile is a great way to get transported back in time. The ‘Land’ is actually an old townhouse situated near the castle that’s owned and managed by the National Trust who have taken painstaking measures to renovate the interior so that it recreates the building just as it would have looked in the early 1600s. The building rises six storeys above what would have been the foul-smelling streets of 17th-century Edinburgh and in the cramped conditions of those times there would have been entire families crowded into each room. By the time the 20th-century came along Gladstones Land had been condemned along with many other buildings and was listed for demolition. However, the National Trust recognised the historical importance of the building and eventually restored to its former glory. As a tourist attraction, Gladstones Land has become one of the most popular in the city for anyone with an interest in history, and for a small entrance fee you’ll be guided through the house to explore everything from the flagstone floors in the kitchen to the elaborately painted ceilings in the bedroom. To the west end of George Street you’ll find Charlotte Square, a large area of private gardens that mirror St. Andrews Square to the east, and it’s within the area of buildings that surround the square where you’ll find the Georgian House at building number 7. This 18th-century townhouse was built to accommodate the wealthy Edinburgh residents who could afford to escape the dilapidated Old Town and over the course of 170 years a total of 5 families called 7 Charlotte Square their home. Today, the house is privately owned and managed by the National Trust for Scotland who have restored the interior so that it’s similar to the layout of how it would have looked during its earliest days. Well over 40,000 visitors come to visit the house each year and thankfully there are plenty of tour guides on each floor to answer any questions you might have, and in fact the NTS has over 200 local volunteers who devote their time to the building. The house is laid out over five levels from the basement to the third floor and you’re free to head in any direction you like, but it makes sense to start at the bottom and work your way up through each floor. The décor and furniture on each level are just as they would have been back in the early 19th-century and it really does give you a sensation of walking back in time as you wander through each room, and interactive touchscreen displays really help to bring the stories of the inhabitants of 7 Charlotte Square back to life. The Grassmarket in Edinburgh is a bustling collection of pubs and restaurants which sit around a large open square at the southern edge of Edinburgh Castle. Because the district is so centrally located within the city you can easily find it by either walking west from the Cowgate or walking south from the Castle Esplanade. The Grassmarket is full of Scottish architecture from the 17th-century and many of the high-rise tenement buildings that Edinburgh became famous for are still in use as private homes. It really is a very pretty part of the city, especially nearby Victoria Street which is famous for the colourful shop fronts which slope gently upwards towards the George IV Bridge. Heading back down to the Grassmarket you might be surprised to see that the area is so spacious, especially considering the rest of the Old Town is so compact and built-up. The reason for this lies in the original purpose for which the area was used, namely as a place to sell horses and cattle – hence the name Grassmarket, deriving from the time when grass was kept there in large quantities to feed the animals. This area in Edinburgh has been popular with tourists for a number of years due to the assortment of pubs that line the streets and it’s still enjoyed today thanks to the outside seating areas that are perfect for enjoying a drink while people-watching across the square. Once the location of a major grain milling industry for over 800 years, Dean Village is now perhaps best known for its beautiful architecture which features in so many iconic photos of Edinburgh. Dean Village developed its numerous mills thanks to the Water of Leith which was used to power the milling stones that refined the wheat crops brought in from around the Lothians, and in its heyday there were eleven working mills in this one small area of Edinburgh along with buildings to house the hundreds of mill workers. The mills went into a slow decline in the 19th-century until a program of regeneration began in the 1970s, and today Dean Village is one of the most sought-after residential areas in Edinburgh. Many locals come here to enjoy walking along the pathways that run alongside the river and the village has become popular as a hidden oasis away from Edinburgh’s crowds of tourists – although it’s actually only one mile from the city centre. A good route to follow when walking through the village is to admire the stunning architecture of Wells Court and then continue down under Thomas Telford’s imposing Dean Bridge. From there you can either follow the path onwards to Stockbridge with its vibrant cafes and bars or you can take a short walk up to the Modern Art Galleries. The main shipping port at Leith has been instrumental in the development of Scotland as an important trading partner with Europe and this fascinating area of Edinburgh is definitely worth visiting today. Although the industrialised areas of the port are still in use – with the extensive dockyard still receiving ships from all over the world – Leith is nowadays recognised for its trendy pubs, bars and restaurants. 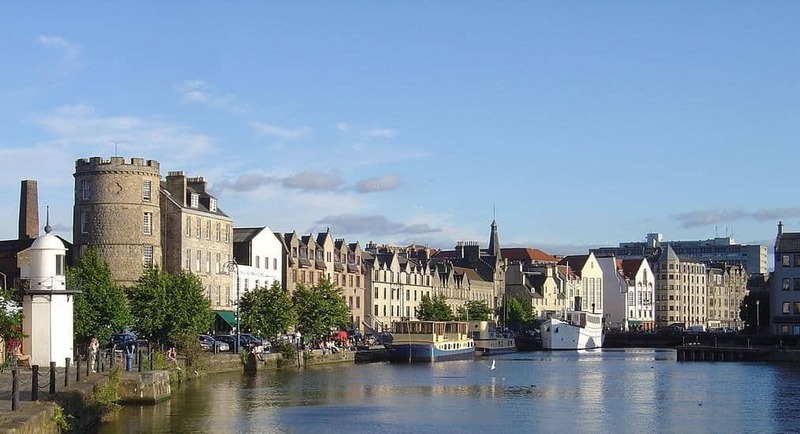 After a long period of neglect Leith was extensively redeveloped in the 1970s and is now regarded as one of the premier hipster hotspots in the UK, thanks to a significant program of regeneration over the last twenty years. Highlights in Leith are the Ocean Terminal shopping centre with its wide variety of shops and restaurants and the Royal Yacht Britannia that’s permanently moored alongside. Further inland is the Leith Farmers Market which is held every Saturday near the Water of Leith river, and this bustling market has become a foodie mecca with sumptuous homemade produce tempting tourists wherever they turn. Other attractions include Leith Late, an annual multi-arts festival held in June where some of the country’s best up-and-coming artists get to showcase their works to the general public, and Michelin starred restaurants like The Kitchin, and Restaurant Martin Wishart which serve top-class food in impressive 17th-century buildings. The primary purpose of this gallery is to showcase the Scottish national collection of contemporary art dating from the early 20th-century to the present day, and the vast collection covers all forms of media across 6000 pieces, from paintings and video to sculpture. The galleries are divided into two separate buildings – the Modern One and the Modern Two. Modern One is famous for its ever-changing exhibits, while the permanent collection includes dramatic pieces from renowned artists like Francis Bacon, David Hockney, Tracey Emin and Andy Warhol. Across the road Modern Two houses selections from the permanent collection as well as a continually updated catalogue of exhibits, and interested members of the public can view the history of modern art media in the comprehensive library and archive. Externally, a sculpture park created by the landscape designer Charles Jencks dominates the lawn of Modern One where a huge serpentine mound surrounds a crescent-shaped pool of water along with lots of other sculptures and works of art. The gallery provides a bus service to transport visitors from the Scottish National Gallery in the city centre out to the Modern Art Gallery and back again, while cafes can be found both in Modern One and Modern Two, along with souvenir shops, an art library and the book archive. Greyfriars Kirk sits in a prime location opposite the tower entrance of the National Museum of Scotland and just a few yards up from Candlemaker Row – the downward winding street that leads onto the Grassmarket. The kirk is still very much in use today as a parish church as well as being a tourist hot-spot for visitors keen to visit the wee Highland Terrier, Bobby. 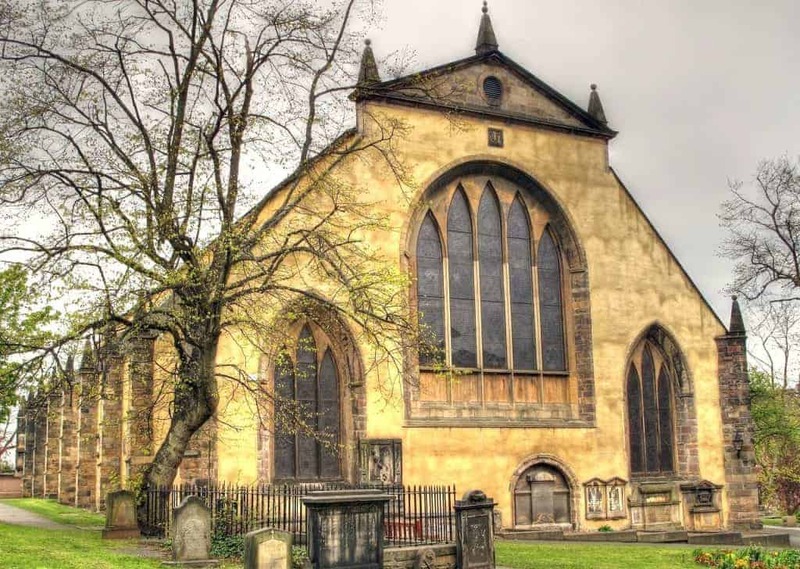 The story of Greyfriars extends back through many centuries and the old kirk is full of history as it’s one of the oldest surviving buildings outside of Edinburgh’s Old Town. There’s a small museum on the site which tells the story of the religious history of Greyfriars from the time of the Franciscan monks to the present day, and it includes one of only a handful of the original copies of the National Covenant which was signed in the Kirk in 1638. Visitors are free to walk around the outside of the kirk at any time and can explore the inside at times when there aren’t any services or events going on. The kirkyard that surrounds the church is managed by a separate trust and walking through the site you can’t fail to be impressed by the number of tombstones, monuments and vaults that are crowded into such a small area. 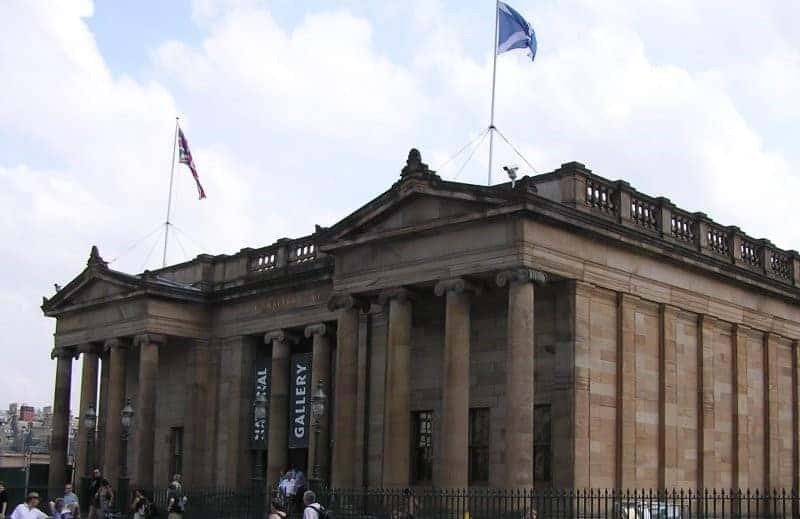 The Scottish National Portrait Gallery contains the national collection of portraits, as well as the national photography collection, all of which are studies of famous Scots from various periods of history. In total, the collection boasts over 3,000 paintings and sculptures, plus 25,000 prints and drawings and an incredible 38,000 photographs. The paintings cover an extraordinary duration of Scotland’s history with the earliest portrait of James IV dated at 1507 while the oldest photograph date back to 1868. The building stretches out symmetrically on either side of the main hall and the artworks are displayed over an expansive three floors. Many Victorian features are still intact with elegant stone facades adorning many rooms while the west side of the gallery features beautiful cove ceilings on the upper floors. Amongst the collection are several prominent figures from Scotland’s history that will be immediately recognisable including Mary Queen of Scots, Bonnie Prince Charlie and Flora MacDonald – the Jacobite heroine who helped the Bonnie Prince escape to France after his rebellion was crushed in 1745. The gallery publicly displays an impressive 850 works at any one time, and facilities for visitors now include an education centre, shops, café and disabled access. Mary King was born in Edinburgh in the late 1600s and began her life as a merchant by sewing together beautiful garments for sale at her shop situated on the Royal Mile. In 1616 she married fellow merchant and businessman Thomas Nimmo who was a representative of the borough of Edinburgh, otherwise known as a burgess, and following her husband’s death in 1629 Mary and her four children moved into an area of tenement buildings that had the name Alexander Kings Close. As Mary’s merchant business expanded she eventually rose to prominence as a burgess herself, and upon her death Alexander King Close was renamed Mary King Close in her honour. As the years passed the dilapidated close was used as the foundations for new buildings and Mary King’s business empire was lost until being uncovered and restored in the 20th-century. Today, Mary Kings Close is a popular tourist attraction that has hundreds of visitors exploring it every day. When you enter the exhibit you’re be guided on a tour beneath the streets of the old thoroughfare where you can experience for yourself what it must have been like to live during those plague-infested and disease-ridden times. 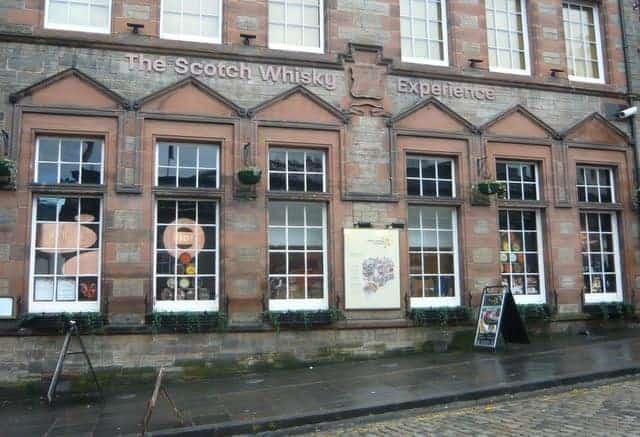 If you’re on a visit to Edinburgh your trip won’t be complete without a visit to the Scotch Whisky Experience, located just a short walk from Edinburgh Castle Esplanade on The Royal Mile. The attraction features tours and whisky tasting sessions along with a very enjoyable journey through the history of one of Scotland’s most famous exports, brought to you by several resident ghostly tour guides! At the beginning of the tour you sit inside a whisky barrel which transports you back in time and takes you on a journey through a replica distillery. The story of the distilling process is told by the ghosts of the old distillery and at the end you get to have a whisky tasting session with one of the (alive) tour guides. Each tour is led by a knowledgeable whisky expert who’ll teach you the history of whisky production from its earliest days to the multi-billion pound industry that it’s become today. The high point of any of the tours has to be the whisky collection which has the record of being the worlds largest, housing an incredible 3,384 bottles. The collection took over 35 years to build and you’ll find it hard to believe that so many different types of whisky were ever created. The Camera Obscura is one of the oldest purpose-built attractions in the United Kingdom, and tens of thousands of visitors pour through its doors each year. Camera Obscura and World of Illusions is located in a prime location on the Royal Mile, not far from Edinburgh Castle and more or less opposite The Scotch Whisky Experience. Visitors can experience six floors of interactive exhibitions that are designed to confound, confuse, and amuse in equal measure, with exhibits showcasing various aspects of optical illusions using light and colour. There’s a section dedicated to holograms, another featuring a mirror maze, and yet another with a swirling vortex tunnel. Each area is designed to push your senses to the limit with some extremely high-tech trickery powering the shows. The attraction began life in the early 18th-century when an Edinburgh telescope maker named Thomas Short built a display for his work on Calton Hill, with his largest telescope eventually passing to his daughter Maria in 1827. After her death the attraction was rebuilt and the attraction’s premier exhibit, the camera obscura, was placed at the top – where it has remained for the last one hundred years. This attraction is really good fun and it’s definitely one that justifies its place in this list of the best things to do in Edinburgh. In the centre of Princes Street gardens, not far from Waverley train station, stands one of the grandest man-made landmarks in the whole of Europe – the 200-foot tall Scott Monument. This beautiful gothic inspired structure is famous for being the largest monument to a writer anywhere in the world, and it’s been an integral part of the Edinburgh city-scape since its completion in 1844. Constructed from locally mined sandstone, the monument is dedicated the famous Edinburgh writer Sir Walter Scott. Scott was a Scottish historical novelist, playwright and poet, and over the course of his writing career he created many literary classics including Ivanhoe and Rob Roy. The design of the monument is inspired by the intricate designs of Rosslyn Chapel and Melrose Abbey, and the attention to detail in the stonework can be clearly seen as you walk around the outside and gaze up towards the spires. 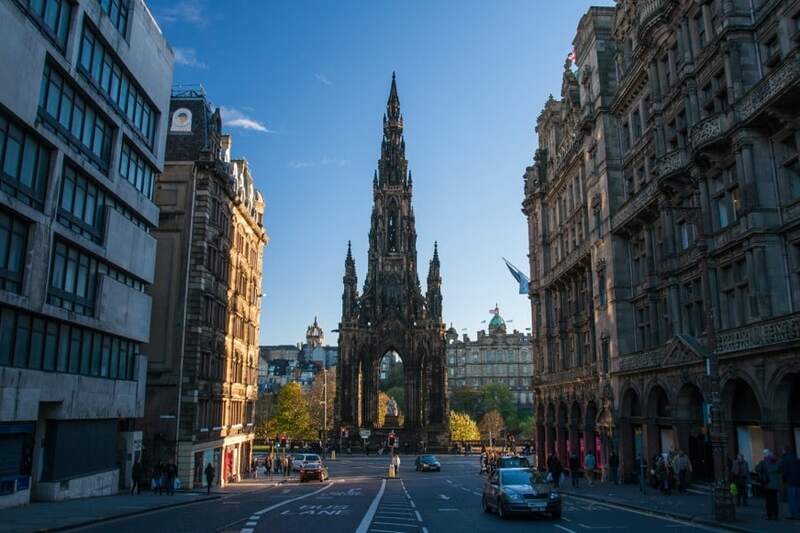 The Scott Monument is the perfect place to get an overview of the city and inside there are 287 steps leading up a spiral staircase which leads out onto a series of viewing platforms, each of which gives fantastic panoramic views across Edinburgh city centre. It’s from here that you can really appreciate the architecture of Edinburgh, with Princes Street running east to west, the Old Town stretching out to the south, and the imposing Salisbury Crags of Holyrood Park to the south-east. No visitor to the Edinburgh can fail to be impressed by the huge neo-classical Scottish National Gallery, or by the adjacent Royal Scottish Academy (RSA) building located behind it. The galleries display some of the most significant art collections in the world including masterpieces by Rembrandt, Vermeer, Constable, Turner, Monet, and Van Gogh, while the biggest part of the collection covers the entire history of Scottish painting including works by Ramsay, Raeburn, Wilkie and McTaggart. The present Scottish National Gallery was designed by celebrated architect William Playfair to house the national art collection of the RSA, and it continued to house the collection until 1912 when the RSA moved into the building behind it. After extensive remodelling the Scottish National Gallery re-opened with an emphasis on presenting a selection of the best Scottish and European art – a theme which remains to this day. There’s an underground area that’s particularly popular with both tourists and locals as it houses an excellent restaurant and café, and a shop selling copies of some of the artworks that can be seen in both galleries. The entrance is located at the same level as Princes Street gardens and it’s a great place to stop off at for a bite to eat after spending time enjoying the nation’s impressive collection of priceless artworks. There aren’t many streets in the world that are a tourist attraction in their own right but Edinburgh’s Royal Mile easily takes the title on account of its fascinating mix of architecture and history. Threading its way through the heart of the Old Town, the Royal Mile is a one-mile cobbled and paved road that links Edinburgh Castle at its top and Holyrood Palace at its bottom. 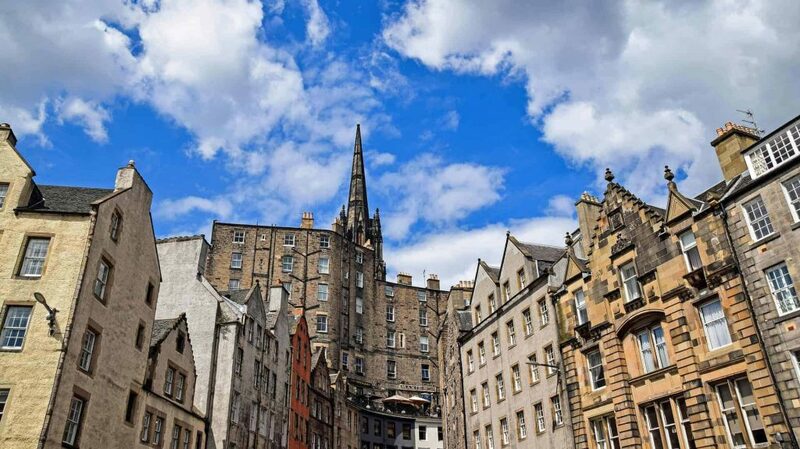 Not only will you pass St. Giles Cathedral, Gladstones Land and John Knox House as you meander up the gently sloped street, you’ll also pass many locations that’ll give you a glimpse into Edinburgh hundreds of years ago. Top-tip: Keep an eye open for Makars Court, a quiet courtyard set back from the hustle and bustle of the main thoroughfare that’s home to The Writers Museum. Here you’ll find exhibitions and works from some of Scotland’s most famous writers including Robert Burns and Robert Louis Stevenson. For the ultimate Royal Mile experience I’d suggest you sign up for a guided tour offered by one of the guides found hanging around the rear of St. Giles Cathedral near the Mercat Cross. These tours are reasonably priced and professional, with each guide being an expert in the history of the murder, plagues, and crimes that were part and parcel of the Old Town in years gone by. The Royal Mile is also a tourist hub for its shops, pubs, and restaurants, all selling the best produce that Scotland has to offer. If you want to purchase genuine Harris Tweed goods, drink Scottish brewed beer or buy a bottle of premium Scotch whisky, the Royal Mile will have something to offer you. Situated about a mile to the East of Edinburgh Castle, Holyrood Park is an outstanding area of natural beauty that offers tourists and locals alike a haven of tranquillity in the midst of Scotland’s capital city. Although the park is centrally sited right inside Edinburgh it’s got a vast array of natural wonders to explore over its 650-acre wilderness. Wild meadows, peaceful lochs, mountain-like ridges, and swathes of gorse take visitors on a cross-country journey all within a few minutes walk from the city centre. On a quiet day when there are few tourists around it’s easy to forget you’re in a busy city and instead imagine that you’re way up in the Scottish Highlands. The most accessible route onto the paths that lead into the park is to walk down the Royal Mile towards the Scottish Parliament Building, and if you want a walking map of the inside of the park you can check out my guide to walking Holyrood Park. You can walk around the perimeter of the park if you like, or you can follow the road that winds its way across it, but if you really want to experience the beauty of the place it’s a good idea to just follow the well-maintained pathway that runs through the centre. If you’re feeling adventurous you can climb up to the 800-foot high summit of Arthur’s Seat, the highest point in Edinburgh, to take in breath-taking views of the city. Be aware that although the path to the top is well used it’s also a hard climb, so anyone with a medical complaint might want to consider giving it a miss. 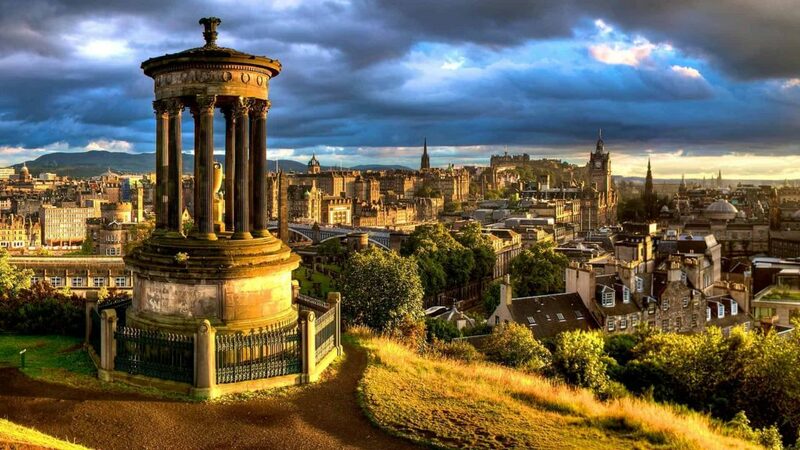 Calton Hill is a magnificent land mass just a few hundred yards away from the hustle and bustle of Princes Street where a collection of Edinburgh’s most famous landmarks are situated within a few hundred feet of each other. The hill is included in the UNESCO world heritage status that’s been awarded to the city which is hardly surprising considering the amount of history that’s located on it. If you walk east from the city centre you’ll be guided by tourist information signs that’ll direct you up the short walk to the top of the hill and from there you can take in breath-taking views of the city, from the rising faces of Salisbury Crags to the south to the dramatic views of the city centre to the west. 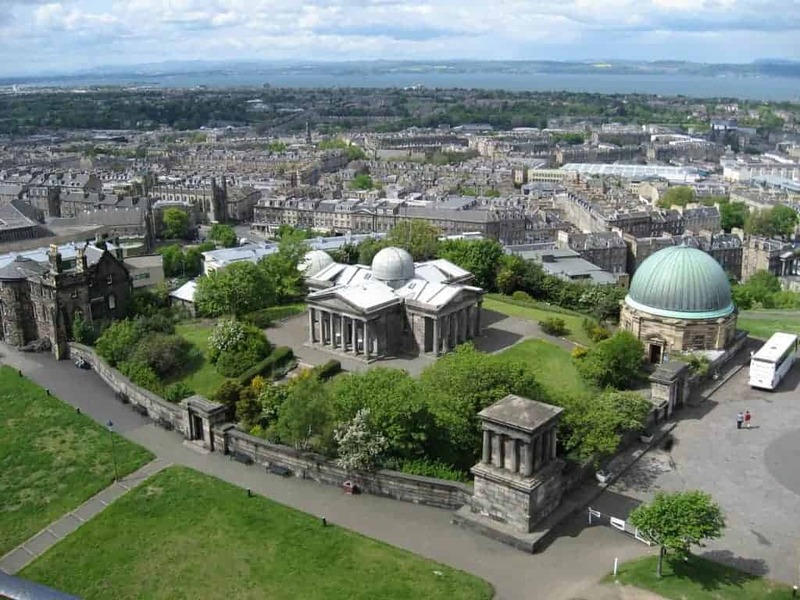 Once at the top you’ll find lots of interesting landmarks on Calton Hill including the National Monument, the Nelson Monument, and the City Observatory. The National Monument is Scotland’s memorial to the Sottish soldiers and sailors who died during the Napoleonic wars and is the dominating feature of Calton Hill, while just a few yards away is the commemorative tower which honours Admiral Nelson. Nearby to the tower is the Dugald Stewart Monument which offers a gorgeous view of Edinburgh, so much so that it’s become one of the most photographed landmarks in the city. Calton Hill has recently been redeveloped as a top tourist attraction by Collective, a group that has installed a restaurant, an art gallery and a viewing platform on the site of the old city observatory, and I think you really owe it to yourself to visit the place while you’re in the city. The distinctive 15th-century crown steeple of St. Giles Cathedral is one of the most-viewed features of any building in Edinburgh, and it takes a place alongside Edinburgh Castle and Holyrood Palace as one of the most historically significant buildings in the city. The church has been a focal point for religious activity in Edinburgh for over 900 years (although the building that we see today traces its roots back to the 14th-century), and due to its central location on the Royal Mile it’s become a popular tourist attraction. The church is still an active place of worship so visiting it might not be possible during times of prayer but during the week tourists are free to enter and explore the internal space of the Cathedral as much as they like. There are five services every Sunday and on average fourteen take place in St Giles every week, often with the St. Giles Cathedral Choir singing in full voice. The choir is world-renowned and have released several albums that can be bought from the gift shop, alongside other souvenirs to remind you of your time in Edinburgh. The cathedral also has an excellent café with first-class home cooking, cakes and coffee, and it’s a great place to unwind with a hot drink after a busy day of sightseeing. 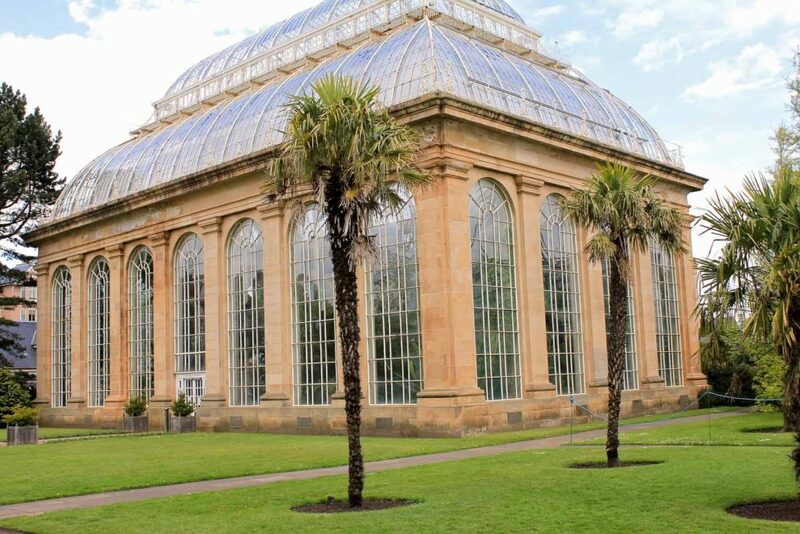 One of the best botanic gardens in the UK is located in Edinburgh and a short bus ride from the city centre will allow you to explore over 13,000 different plant species in the most beautifully landscaped and manicured grounds you’re ever likely to see. For tourists, the facilities available easily match those found at any other Edinburgh attraction with cafes, a restaurant, snack stations, a gift shop, and an information centre catering to the needs of visitors of all ages. Due to their immense size the gardens can be entered via several different gatehouses so you’d be wise to pick up a map at the visitor centre to get your bearings at the start of your visit. Although the gardens are free to enter it’s well worth paying the entrance fee to get into the premier attraction of the RBGE which is the incredible tropical jungle that lives inside the enormous glasshouses. These glasshouses contain some of the oldest plants in the entire collection, as well as some of the largest, which makes for a fascinating walk as you appreciate the 3,000 exotic plants that have been sourced from all over the world. Other highlights include a woodland garden, an enormous tree collection, a Rhododendron collection, alpine houses, and a botanic cottage (which is used for education and community sessions), while the visitor centre houses exhibitions that change on a regular basis. 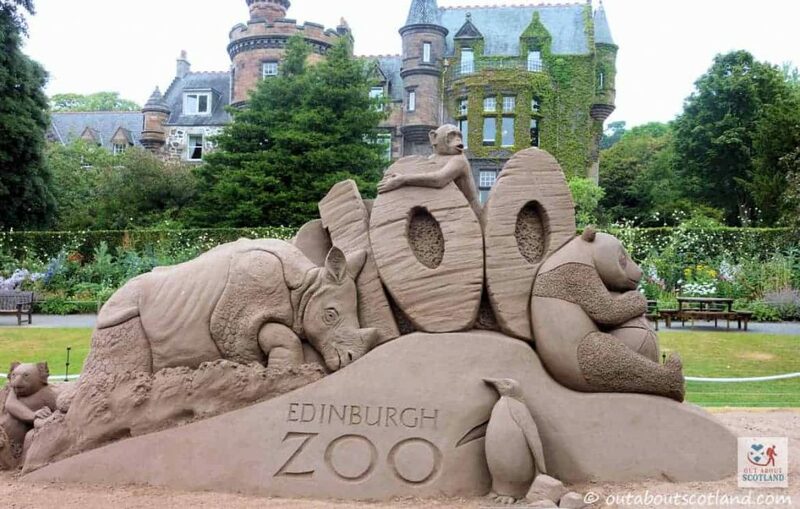 Set over 82 acres of parkland on the south-facing slope of Corstorphine Hill, Edinburgh zoo is the second most popular tourist attraction in Scotland after Edinburgh Castle. Edinburgh zoo has a huge amount of things to see and do, and with over a thousand animals to look at including lions, monkeys, penguins, tigers, and the only giant pandas in the UK, you’re definitely not going to get bored. The enclosures that house these animals are really good, especially Penguins Rock which has Europe’s largest outdoor penguin pool and the Budongo Trail where you can watch chimpanzees in one of the world’s most innovative man-made habitats. Other enclosures offer views of exotic birds, reptiles, insects and mammals from all over the world, with each habitat clearly signposted and marked so that you won’t ever find yourself getting lost. Even so, as a top tip I’d recommend going to their maps and guides page which has an interactive map and a free downloadable pdf so you can get to grips with the layout before heading out. Facilities available include a gift shop, two restaurants, and a coffee shop, and there are several smaller fast-food eateries dotted about as well. The Royal Yacht Britannia is the former yacht of the British Royal Family which now takes pride of place at the Ocean Terminal shopping centre at Leith in Edinburgh. Over the course of her working life Britannia sailed over 1 million miles around the world and she’s now open year-round for visitors to follow in the footsteps of world leaders as they walk through her beautifully ornate rooms. As you walk round Britannia’s five main decks you can listen to an interesting audio guide that explains what life was like onboard not only for the royal inhabitants but also for the Royal Navy crew that manned her during her voyages. Starting at the bridge, you pass through the state apartments, the crew quarters, and the engine room before finally reaching the Royal Racing Yacht, Bloodhound. There are some fascinating parts of the ship which all ages will enjoy visiting, like the huge state banquet room with its massive dining table and the gleaming Rolls Royce Phantom which used to travel on the ship along with the Royal Family. If you fancy a little treat you can pick up some really good homemade fudge in the NAAFI sweet shop, and there’s a highly recommended restaurant in the Royal Deck Tea Room where you can sample some top-notch Scottish cuisine, as well as coffee and sandwiches if you just want a snack. The palace of Holyrood House (as it’s officially known), is the main residence of the British monarchy in Scotland and is located at the opposite end of the Royal Mile from Edinburgh castle. The palace has a long history dating back to the 12th-century and it’s still used to host state occasions to this day. 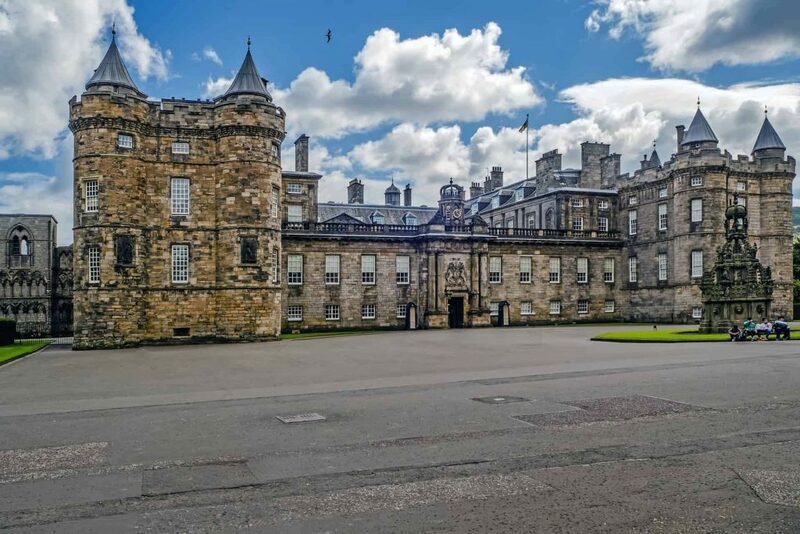 The palace offers loads of activities to visitors, including viewing the official state rooms of Mary Queen of Scots and the Throne Room, as well as exploring the ruins of Holyrood Abbey and the beautiful palace gardens. The route through the interior rooms will take you on a tour of the history of the building including the 17th-century king’s apartments, the Great Gallery, and the 16th-century apartments where Mary Queen of Scots took residence. After visiting the inside of the palace the ruins of Holyrood Abbey are usually the last area to be explored, and although the roof has long gone the size of the building is still impressive. It’s also a brilliant photo opportunity. Finally, no visit to an attraction like this would be complete without a visit to the cafe which is, of course, top-notch. The quality of the food on offer is amazing, and although it’s a little pricey it’s well worth the expense. But before you leave don’t forget to check out the shop which has some of the highest-quality souvenirs I’ve ever seen in a Scottish tourist attraction. Edinburgh castle encapsulates everything that’s great about the best Scottish attractions. It’s massive, beautiful, ancient, fascinating, sited in a fantastic location and has more things to see and do than you might imagine. There are ancient buildings to walk through, loads of interesting artefacts to look at, some really good museums to wander around, and more exhibitions, shops, and cafes than you’ll likely be able to fit into one day. You can reach the castle entrance by following the Royal Mile to the very end of its northernmost point, and on arriving at the area you’ll be presented with a magnificent open courtyard. This is where the world-famous Edinburgh Military Tattoo takes place every year where military bands and performers from all over the world come together to entertain a quarter-million tourists annually, watched by upwards of 100 million people on TV. The Royal Palace is perhaps the most dramatic section of the entire castle complex as it houses not only the royal apartments where the legendary Mary Queen of Scots lived but also the great crown room which houses the Honours of Scotland. These artefacts are the Scottish equivalent of the Crown Jewels held in the Tower of London and they’re no less magnificent, comprising a crown, sceptre, and the Sword of State. The Stone of Scone – the ancient stone upon which Scottish monarchs were crowned – is also held within the vaults of the crown room and all the exhibits are presented with lots of background information which is great if you’ve got inquisitive kids with you. Although tickets to the castle are a bit expensive in my opinion it really is an amazing place to visit, and it totally justifies its place at number one in this list of the best things to do in Edinburgh. Well, that wraps it up for this list of the 25 best things to do in Edinburgh and I hope it’s given you some ideas for places to visit in the city to make the most of your time while you’re here. The list isn’t exhaustive by any means and I’ve tried to include the attractions that I personally think are the best ones, but if you’ve got any opinions about them please leave a comment in the comments box below. Thank you for reading the article, have a great time in Edinburgh, and safe travels.